Have a question for Chabana Resort? "Rooms have amazing lake view, staff is super friendly, swimming pool & fitness are juste great." "Clean and very good service mine." 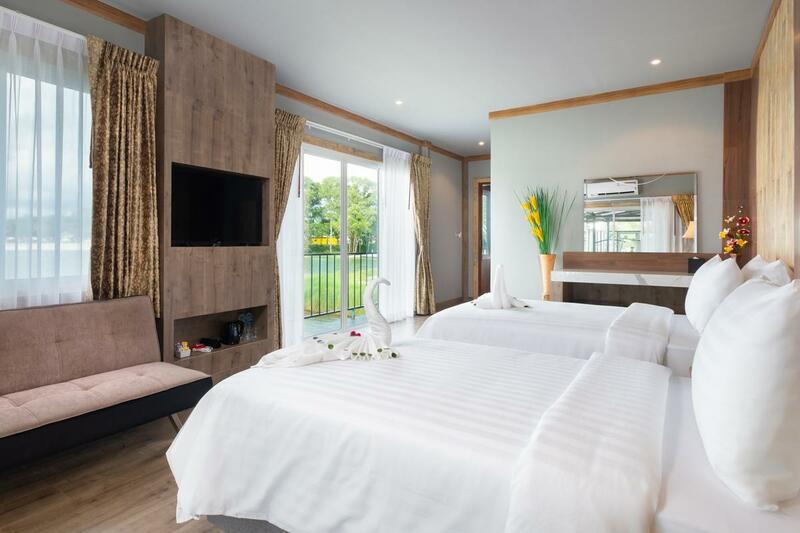 "The staffs are very good services :) Location and Facilities are good"
"Great location with the Laguna entertainment area Boat Avenu..."
Designed for both business and leisure travel, Chaba Resort and Spa Phuket is ideally situated in Bang Thao; one of the city's most popular locales. Situated only 22 km from the city center, guests are well located to enjoy the town's attractions and activities. With its convenient location, the hotel offers easy access to the city's must-see destinations. Chaba Resort and Spa Phuket offers impeccable service and all the essential amenities to invigorate travelers. Guests of the hotel can enjoy on-site features like free Wi-Fi in all rooms, 24-hour security, convenience store, daily housekeeping, postal service. In addition, all guestrooms feature a variety of comforts. Many rooms even provide television LCD/plasma screen, complimentary instant coffee, complimentary tea, slippers, separate living room to please the most discerning guest. The hotel's sauna, outdoor pool, spa, massage, garden are ideal places to relax and unwind after a busy day. 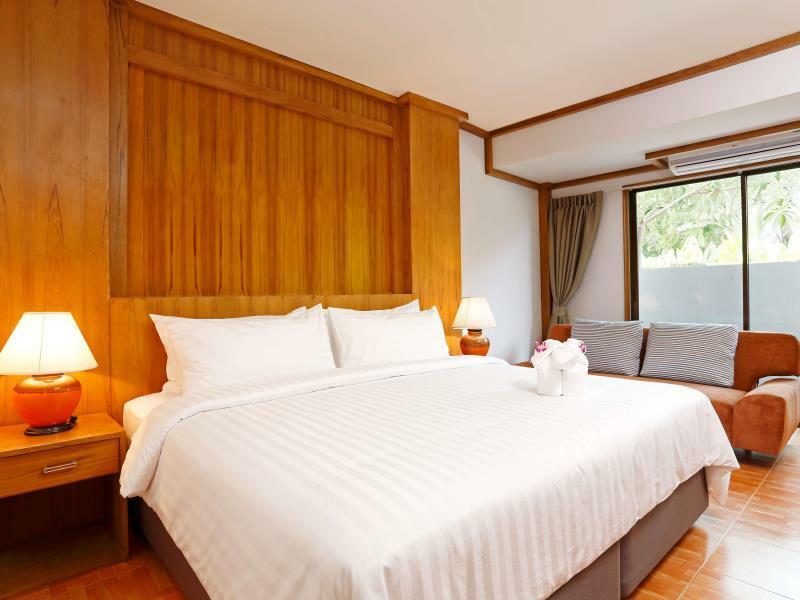 Whatever your purpose of visit, Chaba Resort and Spa Phuket is an excellent choice for your stay in Phuket. "Staff were great, very helpful." I asked the reception if there was a SAFE place to store my bags between checkout and a late departure to the airport and they happily agreed to keep for me, right in front of the reception counter. Of course they did - it was the perfect opportunity for staff to rummage through my belongings and remove ONLY the foreign currencies hidden in a folder deep within my bags (which I double checked before i left the bags - but sadly forgot to re-check until I reached the airport). Any and all attempts to reach the hotel management for some kind of response have been fruitless. Unacceptable. DO NOT STAY HERE unless you would like to lose all your valuables...!! Hotel was in a good location near to boat avenue where there are bars, restaurants and shopping. When I arrived I was told my room had been upgraded from a superior to a deluxe which was a nice surprise. My room was quite large and minimalistic with a rather large bed , the room could have done with a chair or a sofa if I was wanting to watch tv. The staff were friendly and helpful, would have been nice to have a wider choice of fruit or cereal for breakfast, there was a lot of oriental food available. coffee , Water and fruit juices available. As I was a solo traveller would have been nice to have a bar within the hotel. Not sure who measured the walking distance to Bang Tao beach but it was definitely more than 10 minutes , more like 30-40 minutes as no direct route and in a 34 degree heat was very tiring. Very clean. Lovely staff. 5 min walk to shops/cafés. Ok, not a luxury hotel but offers very good value for money and is conveniently located for easy access to shops and restaurants. Staff were great, very helpful. Room was spacious, clean and comfortable. Close to my office but dirty in bathroom have many cockroach run around. No any staff help to move the room and no any apologist. When I ask to talk to manager in morning no one contact and come to talk to me. First arrival staff at front say we don't have yours booking but agoda told me booking is confirm. If you don't like crowded Patong beach and want a quiet place with nice view, you should stay here. Rent a motobike, go around the island, find some beach not crowded, enjoy the holiday. The hotel sited beneath a small lake, in the area Laguna near Bangtao beach. Rounded by lots of Russian tourists, so a little different feeling from in Patong. Room is clean and quiet. Small but beautiful swimming pool and gym. And don't forget to try its massage and SPA as it in the hotel's name. Great location with the Laguna entertainment area Boat Avenue literally just around the corner. Good value also -- savings on room can go towards renting a car and then you have your pick of beaches to go. Staff may not always understand your requests due to language barrier, but patience, pantomiming, and diligently following up will go a long way. Good value for money option. Simple but large room (take the ones with the balcony overlooking the lake). A little noisy at night due to proximity of some restaurant, bars overlooking the lake. Walking distance to restaurant, fruit market and Boat Avenue. Please note that there is no shuttle available for the airport or the beach. Although the hotel was very nice (we got an upgrade), the location is a bit strange, on a lake but 20 mins from the beach which has only one beach bar/restaurant. There are quite a few big hotels on this beach, habited in the main by er Russians, who didn´t mingle much, because of the language I suppose(?). The beach itself though was really nice. We didn´t get much info from the day staff at the hotel (not so friendly), but the night staff were much better. Quite a strange location, as it seems that the whole area is catering for "rich"(?) Russians, which put the prices up. Didn´t have a Thai feeling at all, shame. During our race day November 26 at 4am i wanted to call for ICE they would drop my call to the front desk. I tried to call several times but they would literally pick up then drop the call. Very disappointed about that. So we didnt have ice for our water bottles in the race. Surrounding Chaba is peaceful. 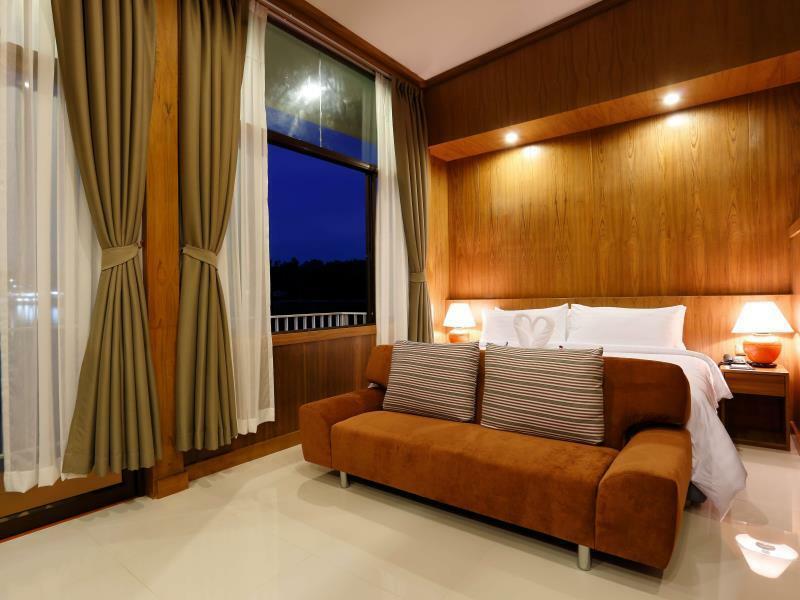 You can have very good sleep at night with comfortable bed and lake view. If you choose to stay in the room, you have many channel to watch, comfy bed and lake view. If you choose to roam around the area.. there are plenty of restaurant range from Thai... japanese and eastern foods... and the nearest beaches, surin and bang thao beach is nice and quiet unlike patong which is crowded and noise.. it depend what you are looking for.. veryall .. good stay..